Lauri Przybysz, Co-founder of Catholics For Family Peace, specializes in adult faith formation and pastoral education. She received the Doctor of Ministry in Pastoral Ministry at the Catholic University of America in 2012, specializing in marriage and family enrichment. She is President of National Association of Catholic Family Life Ministers www.nacflm.org. Lauri also serves as Executive Director of the Christian Family Movement-USA, part of an international confederation of Catholic life movements that support and promote family life, www.cfm.org. Lauri and her husband, John, have spoken on encouraging “the Church in the home” at the Pontifical Council on the Family in Rome, and at family conferences in the U.S., Europe, Latin America, and India. Her articles on marriage and family spirituality appear on the U.S. Bishops’ For Your Marriage website. Dr. Przybysz served for 13 years as the coordinator of Marriage and Family Life in the Department of Evangelization for the Archdiocese of Baltimore, where she coordinated the archdiocesan committee for Domestic Violence Response and Awareness. She is the mother of 6 and grandmother of 21. Christauria Welland, Psy.D. (Doctor of Psychology), a native of Canada, is a Catholic clinical psychologist residing in San Diego, California, USA. She is the founder of Pax in Familia, an international Catholic ministry dedicated to peace, and to the prevention of violence and abuse in Catholic families. Dr. Welland has a private clinical psychology practice in Solana Beach, CA, where she works with a predominantly Catholic population, and a hospital practice in the rehabilitation department of Paradise Valley Hospital in National City. Dr. Welland is Adjunct Faculty at Alliant International University in San Diego, where she has taught the doctoral-level licensure course on domestic violence since 2004. She co-wrote with David Wexler, Ph.D. a Spanish-language treatment program specifically for them, Sin Golpes, Como transformar la respuesta violenta del hombre en la pareja y la familia. Dr. Welland and her husband of 25 years have been engaged in voluntary ministry with migrant workers at their parish in San Diego since 1992. Dr. Welland was invited to speak at the World Meeting of Families in Philadelphia, USA, in September 2015. At the Meeting, Dr. Welland addressed the participants on the topic of pastoral responses to domestic violence in Catholic families. Her booklet, How Can We Help to End Violence in Catholic Families: A Guide for Clergy, Religious and Laity, has been printed in six (6) languages and is also available for free download online in all 6 languages at her website www.paxinfamilia.org/ Read more. 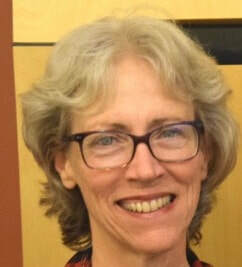 Dr. Martha Shuping, M.D., M.A. 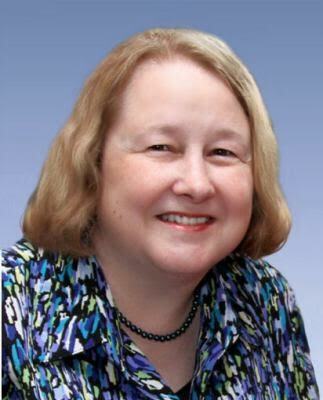 Dr. Martha Shuping, M.D., M.A., is a psychiatrist in private practice in Winston-Salem, NC. A 1984 graduate of Wake Forest University School of Medicine, she completed residency training in psychiatry at Wake Forest Baptist Medical Center in 1988. Dr. Shuping earned an MA in Pastoral Ministry from University of Dayton in 1992, and is a 2014 graduate of Harvard Medical School’s Global Clinical Scholars Research Training Program. Since the 1980’s, Dr. Shuping has been helping women and men to recover from the effects of abortion, through individual therapy and through faith-based abortion recovery ministries. Dr. Shuping has served as a consultant, trainer and speaker for non-profit organizations involved in post-abortion ministry in North America, South America, Europe and Asia. Becoming aware of the association between intimate partner violence (IPV) and abortion, Dr. Shuping presented on this topic at the United Nations during the 2016 meeting of the Commission on the Status of Women. Dr. Shuping has conducted workshops at international conferences to teach nurses how to screen patients for intimate partner violence, especially nurses who provide pre-natal care. Dr. Shuping is co-author of a paper on violence against women and abortion (link below). Her current research interests include the emotional and spiritual effects of abortion, the efficacy of faith based abortion recovery programs, and IPV - especially during pregnancy. Rose Folsom founded Virtue Connection in 2014 to help Catholics be more Christ-like through the virtues. She believes that family peace is best achieved by growth in virtue. A Catholic convert, she began her own education in the virtues by attending a Summa Theologica study group led by the late Fr. Norman Fenton, OP, a philosophy professor at the Dominican House of Studies. The group met for five years, studying one volume of the Summa each year. A Lay Dominican for over 25 years, she blogs at VirtueConnection.com. She has given talks and workshops at the Family Peace Symposium, the Archdiocese of Washington Women’s Conference, and to men’s and women’s groups such as Knights of Columbus and Greensboro NC Council of Catholic Women. She was also the Keynote Speaker at the 2018 Conference of the Harrisburg Diocese Council of Catholic Women. Ms. Folsom is current President and former Vice President of her Immaculate Conception Chapter of Lay Dominicans, Vice President and Leadership Commission Chair of the Washington Archdiocesan Council of Catholic Women, and a member of the Board of Advisors of the Future With Hope Catholic Women's Conference. Ms. Folsom and Fred Folsom, her husband of 35 years, are parishioners of St. Andrew Apostle Parish in Silver Spring, MD.